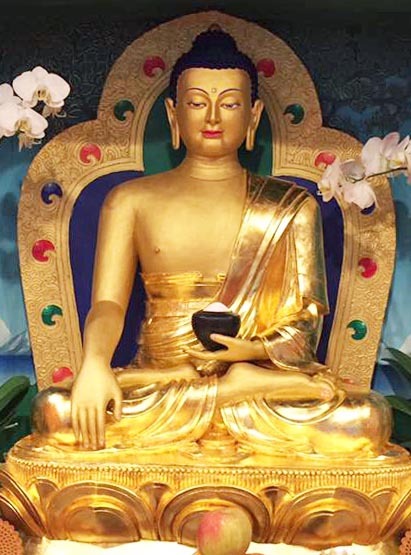 In May 2017, Land of Enlightened Wisdom commissioned Mr. Oshoe to build a three foot statue of Lord Buddha Shakyamuni for its shrine room. 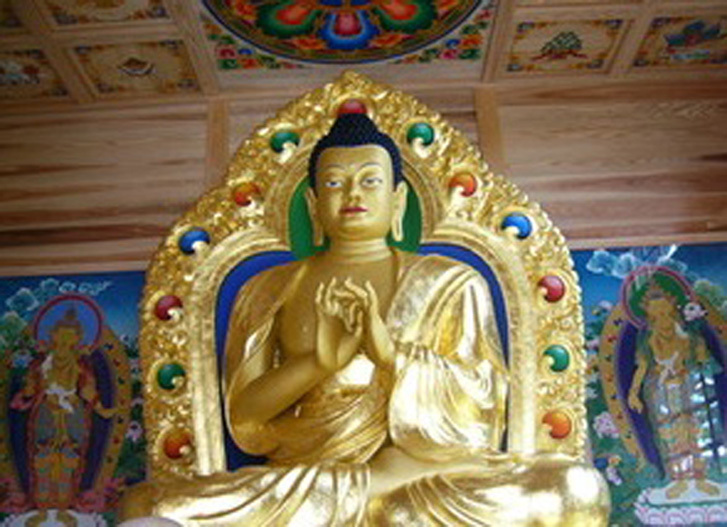 He began working with clay and paper to create the statue of Buddha Shakyamuni. 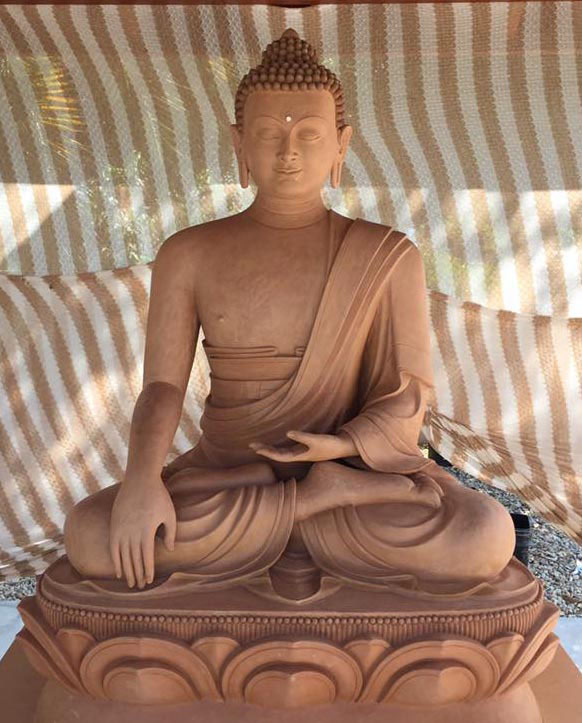 The sculpture is made of clay, in accordance with the traditional specifications, filled with religious scrolls brought from India. 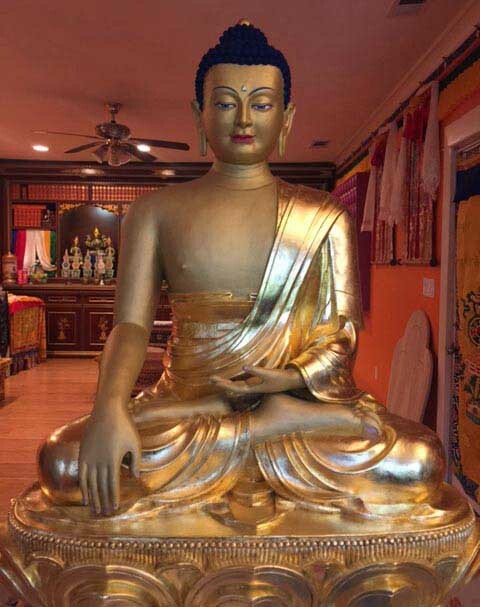 The Lord Buddha statue created by the Master Tibetan Artist Kalsang Oshoe was completed on June 18, 2017 and placed in the shrine room at the Pomona center. 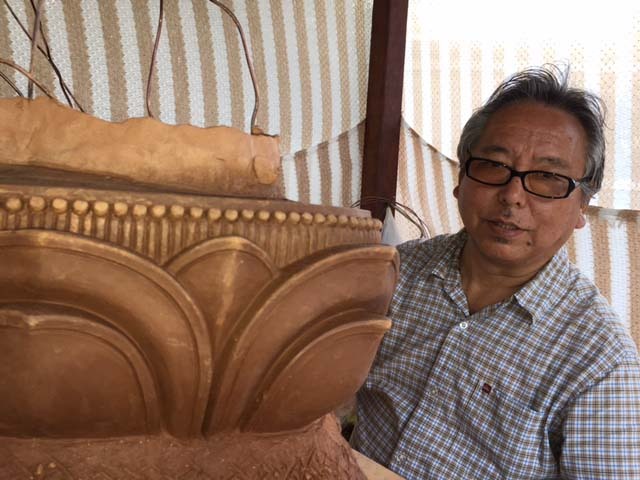 Mr. Oshoe is one of the few highly accomplished Tibetan sculptors and artists trained in the rigorous artistic traditions of classic Tibetan fine arts. The cultural heritages from which these traditions spring from have become lost in Tibet proper since the Chinese annexation of Tibet in 1959. However, they have been kept alive in the thriving refugee communities in India. Master Artist Mr. Oshoe, based in Dharamsala for the past 20 years, has established one of the only schools to pass on these rare and unique traditional art forms. For the past decade, His Holiness the Dalai Lama himself has commissioned many works, both paintings and sculptures from him. 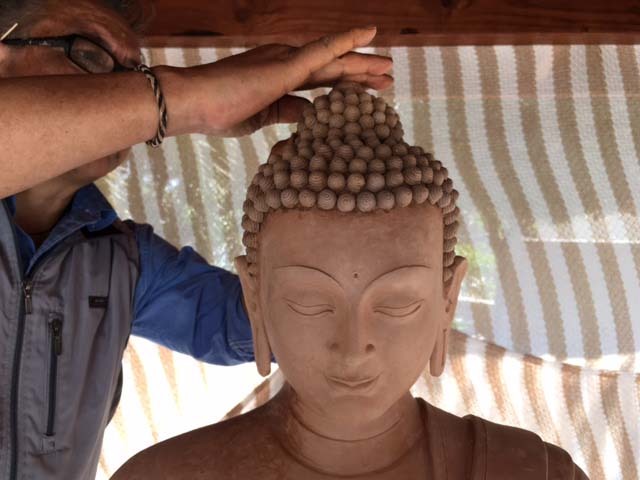 Mr. Oshoe has been commissioned to create Buddhist sculptures internationally in Japan, Europe and the United States. 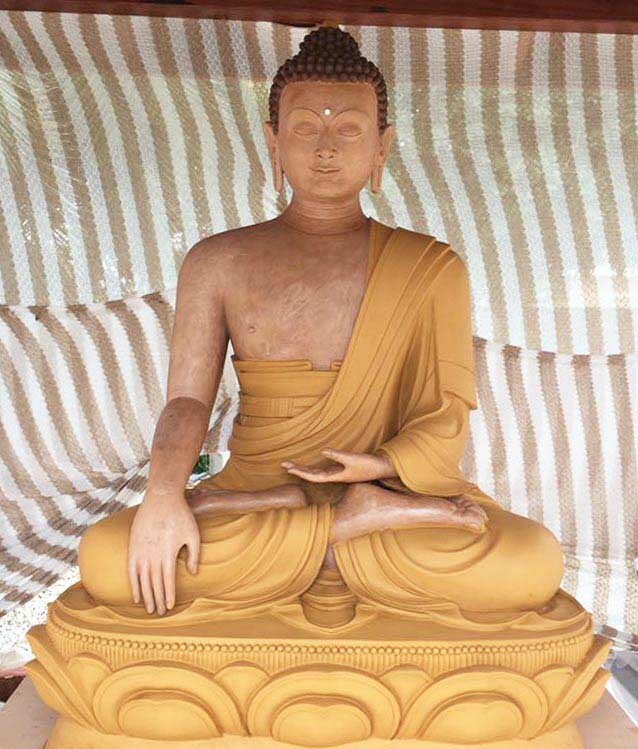 He recently completed a three year project of a 25 ft statue and has completed Lord Buddha Shayamuni Statue at the Land of Enlighened Center in 2 months. You can view Mr Oshoe's Thangka painting, shown at the Johnson Museum of Art. 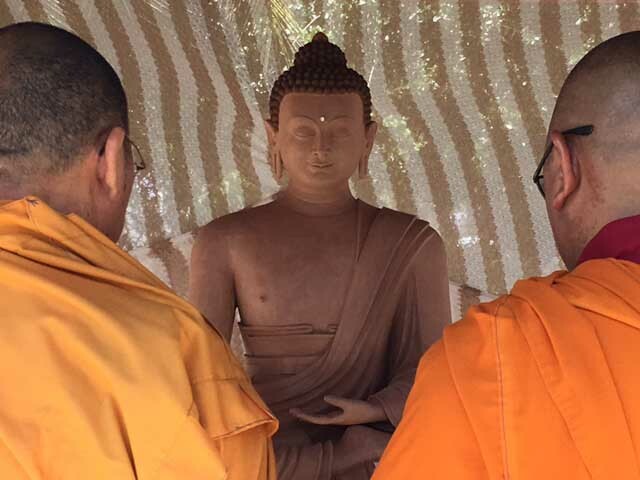 Thank you Kalsang-la for your kindness to the center and dharma friends.